Ms. Green represents clients in the areas of general civil, complex business and construction litigation and regularly represents employees in employment discrimination litigation before state and federal courts, agencies, and mediations involving race, gender, pregnancy, disability, national origin discrimination, whistleblower retaliation and sexual harassment claims. Ms. Green advises businesses on strategic and preventative liability measures and regularly presents seminars to clients regarding various state mandated employee related topics. Ms. Green has held positions as CFO, Secretary, Treasurer and In-House Counsel in both corporations and limited liability companies. Ms. Green practice also includes representation in oil, mineral and gas law. Ms. Green earned her Bachelor of Arts in Political Science from California State University, Chico where she also interned for the Butte County District Attorney’s Office. Ms. Green earned her Juris Doctor from Thomas Jefferson School of Law in 2002 where she was a competitor and team coach of the environmental negotiations team. Ms. Green has continued with her commitment to the mediation and negotiation process and is now herself, a certified mediator through the National Conflict Resolution Center. She is admitted to practice law in all California State and Federal Courts and currently is a member of the State Bar of California and the San Diego Bar Association. 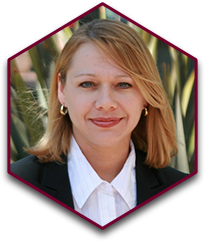 Ms. Green is also an active member of the California Employment Attorneys Association and with the Consumer Attorneys of San Diego. Ms. Green believes in giving back to the community and provides countless hours of pro bono services every year in her areas of practice as an attorney and as a mediator. Ms. Green has served on numerous boards and committees including Honk Kong Business Association of Southern California, Walden Family Services, JUMA Advisory Council, Executive Women’ Counsel and Giving Group for the University Club, and Treasurer for the Thomas Jefferson School of Law Alumni Board and Alumni Coordinator for the TJLS Employee Rights Self Help Clinic.